Recorded Live at Laguna Hills, Irvine Meadows, California - August 28, 1986. Files: 18. :: Size: 431 MB (flac). Personnel: Andy Rourke :: Morrissey :: Johnny Marr :: Mike Joyce. Notes: This show has been previously released on the very popular Bootleg “Thank Your Lucky Stars” on the Big Music Label. This release lists this recording as being from the Universal Amphitheater on Aug. 26th but it has been proven to be from Irvine Meadows on the 28th. There are some audience sources for the two Universal Amphitheater shows which helped to prove the correct date. There are a few fan made versions of “Thank Your Lucky Stars” with different artwork floating around Godfather Records has released this recording in their signature gatefold packaging with numerous high quality pictures of the band. The artwork and pictures capture the overall essence of the band and do justice to the music contained within the packaging. I already had this release as “Thank Your Lucky Stars” and I have to say I’m very pleased with Godfather’s version. They’ve done well and I couldn’t be any happier. 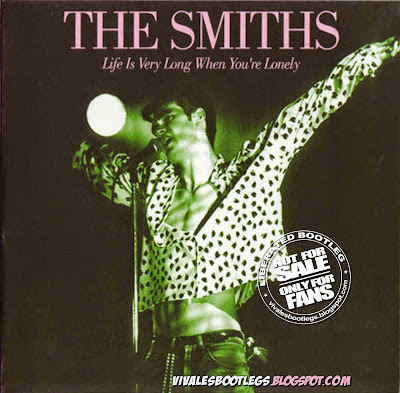 I know this release will definitely please many fans of The Smiths as well as those who already have “Thank Your Lucky Stars”. Good job Godfather, you released a recording I could not refuse..<-(Info taken from colelctors music reviews).